"What do we gain from all our days of labor in life?" It's a question we've all asked. In this motivational self-help book, the answer comes from the wisest man who ever lived, King Solomon. Noting that 'one event happens to all', that neither riches nor wisdom can prevent toil, Solomon journeyed to find value in living. Here, you'll find what he discovered; simple ways to achieve joy, keys to long-term fulfillment, even our very purpose for existing. 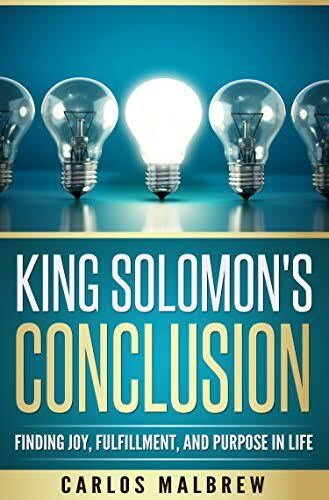 Placed into the context of our current world, King Solomon's Conclusion will equip readers with safeguards to elude many of life's greatest pitfalls; to reduce the inevitable stressors that weigh us down daily, and to offset the frustration that comes from living in a world whose ways are beyond our control. We live, we work, we die, and nothing we do can change that. But we can find peace, comfort, and strength along the way.